Our Fitness App of the Week is called 21K Run Trainer. This is one of the best half marathon training app we’ve ever encountered on the App Store – rich-featured, designed with intuitive user interface. 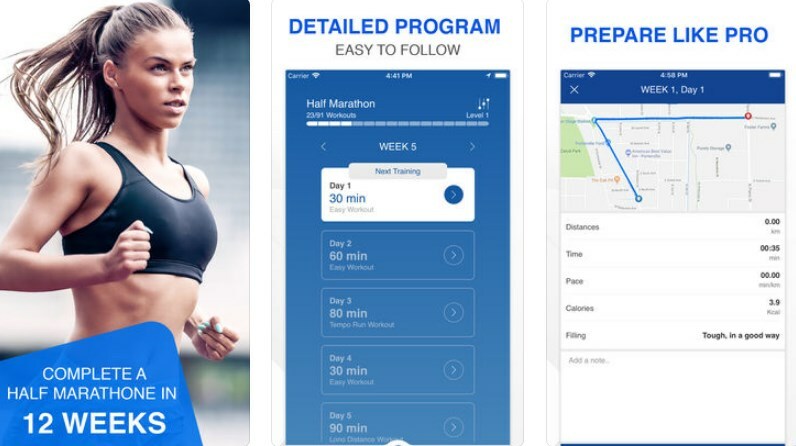 Become the runner you’ve always wanted to be by using the most of what this app offers – a whole training plan for your first 21K. What Is 21K Run Trainer? There are plenty apps that offer you to track your running mileage and distance. 21K Run Trainer is a new app launched on the iOS platform to help you reach your running goals that is just a click away from you. The best Health & Fitness app that there is to offer and also free for download. All it requires is iOS 9.0 or later. Download the app and get ready to feel motivated and boost your strength in order to become the best runner you always wanted to be. Keep reading to find out the amazing features 21K Run Trainer has to offer! This Health & Fitness app is much different than any other running apps you can stumble across on. Why is that? Because of the amazing features it has to offer. Now, we are not just saying that. It is because the 21K Run Trainer will motivate you to join other successful runners on the finish line of the 21k run. With simple and easy access; 21K Run Trainer will pilot you to get through the running experience, give you all the motivation you need in order to triumph the half marathon. Starting slow and steady and then increasing the runs, the audio motivational coach will stimulate you through your running experience. Besides giving you the motivation and tips you will need, the music player is here to help you ease through your journey with listening to the music you want. The best part about 21K Run Trainer is that you will be able to share your success with friends and family on social media and have them join you on this amazing running experience! Start today by downloading the app for free from the App Store.